Hip Mobility Exercises – What Works Best? 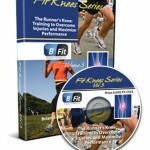 There seems to be consistent questions, debate and studies done with respect to stretching. As the thought of more closely analyzing the quality of movement (FMS, Y-Balance testing, SFMA for example) moves to the forefront in the PT and fitness world, many search for the right mix of exercise to maximize mobility. The Y-Balance test may not have significant relevance to hip mobility as much as it does limb symmetry, but I included it here to illustrate my point in observing kinetic chain movement to help determine where the weak link or faulty movement pattern may be. 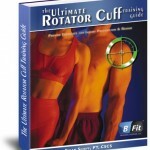 It gives us valuable information with respect to strength, balance and mobility. With the revelation that FAI is more prevalent than we knew (click here for my post on FAI), I am always interested in hip mobility and how to increase movement in the hip joint. Limitations in hip mobility can spell serious trouble for the lumbosacral region as well as the knee. I currently use foam rolling, manual techniques, dynamic warm-up maneuvers, bodyweight single leg and hip/core disassociation exercises and static stretching to increase hip mobility. However, I am often faced with the question of what works best? Is less more? How can I make the greatest change without adding extra work and unnecessary steps? Golf is in the air in Dublin, OH as Tiger and the PGA have invaded my neck of the woods for the Memorial Tournament. Too bad I am on vacation missing it!! Anyway, I just read a new research article validating what many of us have been saying for years about dynamic warm-up – this time it relates to golfers. Do you care about club head speed, accuracy and consistent ball contact? Then listen up. In the most recent edition of the Journal of Strength and Conditioning Research, Jeffrey Gergley reveals some important findings relative to a passive stretching regime coupled with an active dynamic (AD) warm-up versus just an AD warm-up and its effects on golf performance. Wow!! The take home message is this – golfers should focus their warm-up routine on active movements with the golf club emphasizing the bio mechanical range of motion needed in the golf swing itself. Using a thorough dynamic warm-up will adequately prepare golfers to hit the ball better and reduce injuries. Want such a warm-up? 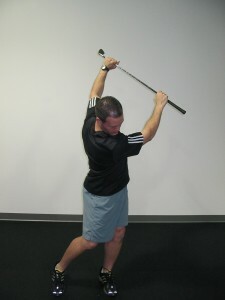 Check out my Healthy Golf Shoulders E-Book for such a warm-up at www.healthygolfshoulders.com. A sample warm-up move from it can be seen below.